2. melt 2 tbsp butter in a large oven-proof skillet over medium high heat .add chicken , skin-side down , and sear both sides until golden brown . drain excess fat and set aside . 3. melt 1 tbsp .butter in the skillet .add garlic .stir until fragrant , then add chicken broth , heavy cream , Parmesan , lemon juice , thyme, and stir , bring to boil , then reduce heat to low . 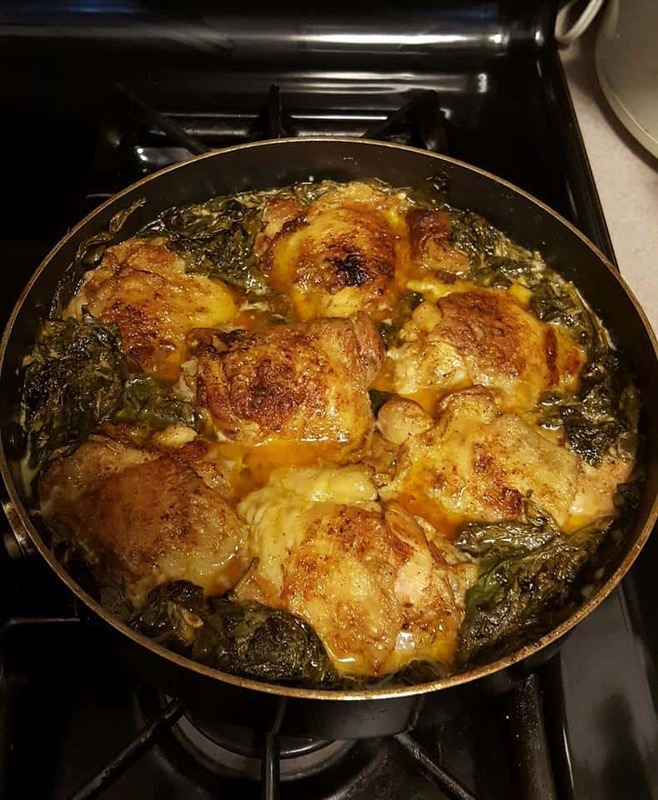 4. stir in spinach , simmer until spinach has wilted and the sauce has thickened .return chicken to the skillet. 5. bake at 400 F / 200 C for 25 min .